Al’s approach to cooking is all about simplicity and generosity. His dishes deliver uncomplicated excellence and showcase the culinary landscape of New Zealand. People and place are key to his philosophy; wonderful friends and unique locations will always enhance an eating experience. In Al’s opinion, food is the vehicle for conversation, fun and memorable occasions. 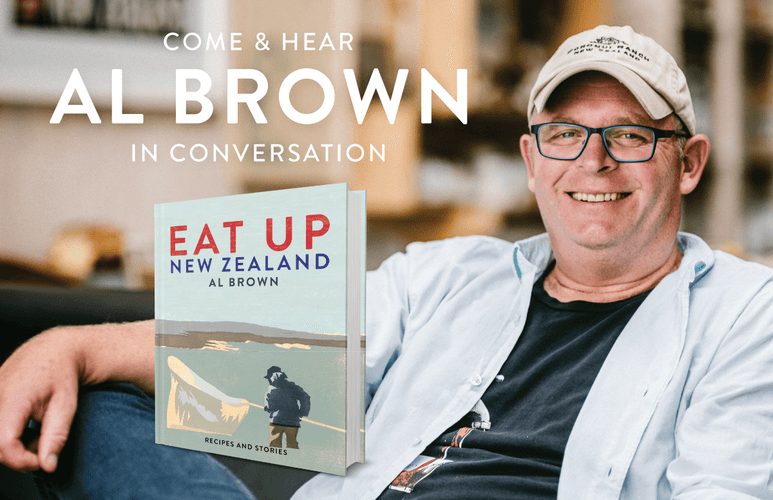 Join Al Brown and enjoy food inspired by his recipes from his latest book, 'Eat Up New Zealand' in the exclusive surrounds and fine dining experience of The Northern Club. Tickets only $99 include a signed copy of Eat Up New Zealand and 2 course lunch with wine.